For many girls, wearing a hijab is an outward expression of their faith that is personal and symbolic of their religious journey. That said, it is equally important for them to feel confident in their hair, even if it’s covered. Not forgetting, the hair needs and challenges hijabis face are unique compared to the free-hair girls. 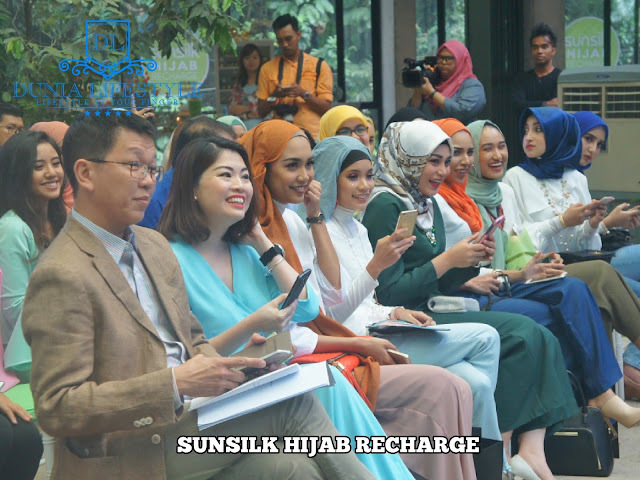 With that in mind, Sunsilk unveiled the Sunsilk Hijab Recharge, a new range of hair care products designed specifically for hijabsters. Offering long lasting freshness and fragrance, and the best benefits from natural ingredients, Sunsilk aims to empower girls to pursue their dreams with fresh, healthy looking hair, even when they don a hijab. Long-Lasting Freshness and Fragrance of Up to 48 Hours*! Having their hair covered all day in this hot and humid climate, hijabis are prone to sweaty hair and greasy scalp. Not only does it feel uncomfortable, the likelihood for odour is high too, which could possibly taint their confidence. 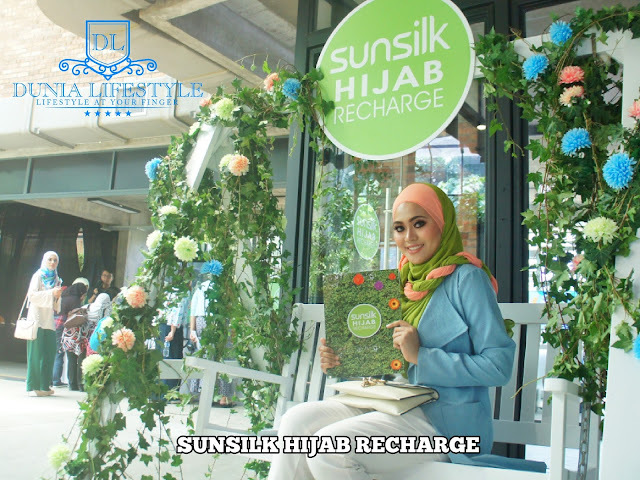 The Fragrance Release Pearls Technology™* packed within the Sunsilk Hijab Recharge delivers up to 48 hours* of long lasting freshness and fragrance – the first product in the market with this revolutionary and practical capability. 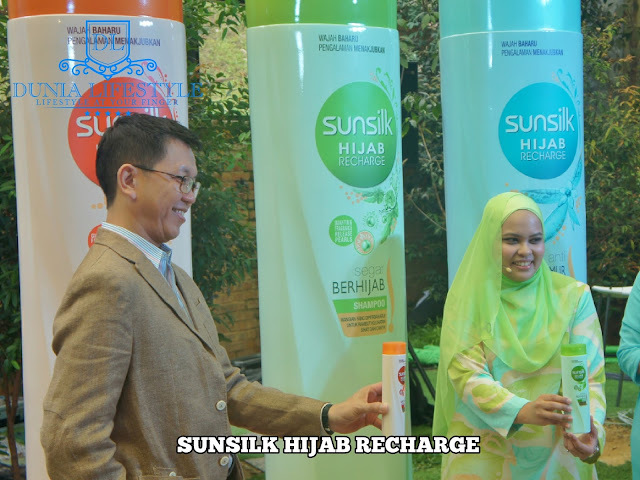 Upon washing with Sunsilk Hijab Recharge, the fragrance capsules remain on girls’ hair. The capsules will burst when minor pressure is applied, thus releasing an aromatic scent. What’s more, the fragrance becomes stronger the more friction their hair has with the hijab. In other words, the more you move your head, the better your hair smells! * Only available in Segar Berhijab and Anti Rambut Gugur Shampoo. Based on lab test. 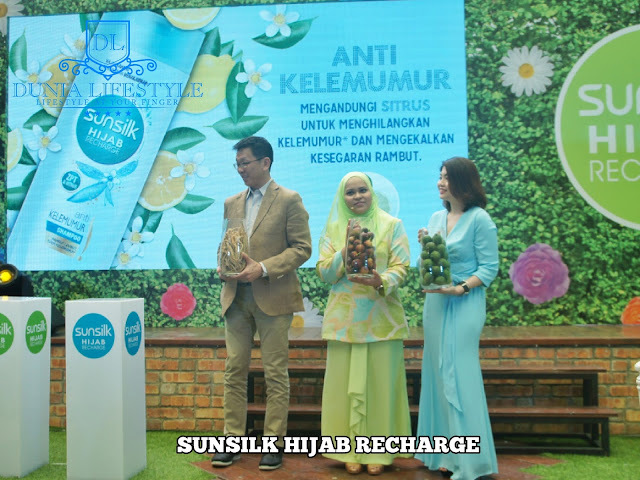 Co-created with natural’s hair expert Jamal Hammadi, the new Sunsilk Hijab Recharge is formulated with the power of natural ingredients to combat the main hair challenges hijabsters face. • Segar Berhijab or Hijab Refresh, the pastel green wonder, is enhanced with fig, known as the heavenly fruit amongst the Muslims. Rich in antioxidant, it helps cleanse sweaty scalp, grease, residues and oily hair for long lasting freshness. • Anti Rambut Gugur or Lively Strong Hairfall** Solution, in vibrant pastel orange bottle, is formulated with ginseng roots extract. Known for its ability to restore nutrients, it strengthens the hair and reduces hair loss. • Anti Kelemumur or Anti Dandruff, the ‘cool kid’ in blue, is designed to address dandruff issues through the essence of citrus fruits for a smoother, livelier hair, as well as ZPT as the anti-dandruff agent which removes flakes and prevents them from coming back***. Apart from instilling confidence to hijabsters through fresh, healthy hair, Sunsilk is taking it a notch higher by adorning girls with stylish, beautifully designed hijab which they can mix and match with their wardrobe. 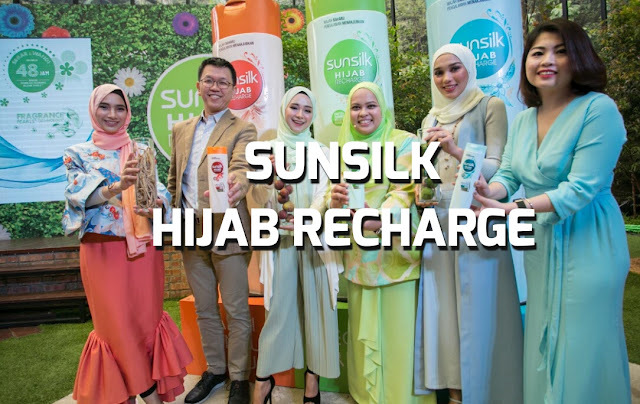 Working closely in a synergetic partnership with leading hijab brand AIDIJUMA, one that shares similar vision of empowering young girls to be confident, Sunsilk, together with the household name for hijab, has unveiled seven exclusive hijab designs in conjunction with the launch of Sunsilk Hijab Recharge. Spotting fun, vibrant designs and motifs close to many girls’ heart, Sunsilk girls can collect all seven designs to add more colours, character, and style to their daily attires. Four designs are now out in the market, which Sunsilk girls can get for FREE with every purchase of two bottles of Sunsilk Hijab Recharge. Bringing greater anticipation for the entire collection, AIDIJUMA and Sunsilk will be releasing the remaining three designs in the next few months. 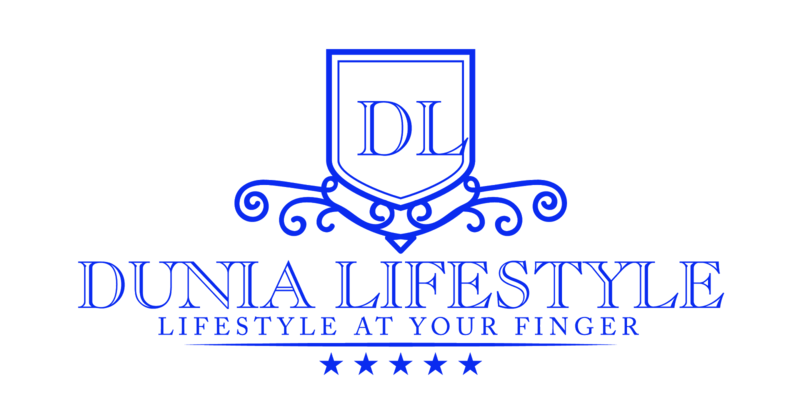 Available now in all leading supermarkets, hypermarkets, pharmacies, and authorised resellers nationwide, as well as appointed e-commerce sites and online marketplaces.